Do you find you are sometimes guilty of living above your means? Are you the person that often has champagne tastes on a lemonade budget? The fact is that many people are spending more than they have, which is leaving them further and further in debt each month. It can be easy to tell yourself it’s just one splurge here and there, but when it happens on a regular basis it will blow your budget right out of the water in no time. So, is there a way to live a budget-friendly lifestyle that still has you feeling happy, satisfied, and as though you aren’t making any sweeping sacrifices? The good news is that there are plenty of small and big changes you can make that will make your bills much more manageable and may even result in you having a surplus of cash each month. So, let’s dig in deeper. If you are hoping to make cuts in how much you spend each month, a great place to start is with your largest expense. For most people, their rent or mortgage is their most expensive bill each month. It isn’t a variable bill payment; it is a fixed payment each and every month that typically takes a massive chunk out of your income. What this means is that you’ve got an area that you can actually make a pretty significant difference in. Rather than pick an apartment or house that “looks great” and is packed with amenities, why not base it on where you can afford to rent or buy? The Apartment Guide Blog has an in-depth piece looking at this topic and takes you through all the factors that should be considered when choosing a place to live and where you can afford to rent or buy. As the guide discusses, you want to consider how much money you have coming in each month, how much is going out in expenses/bills, and then figure out what you have left between the two. This is the budget you have to work with. Now, you probably don’t want to spend every penny since that doesn’t leave you with anything as an emergency fund or extra money. As the guide points out, it’s important to be realistic during the hunt as this is the only way you’ll find something that is within your budget. It is highly likely that in order to save money on your accommodations you may need to downsize, or even consider moving to a less expensive neighborhood or town/city. If you are thinking about moving further from work, be sure to also factor in the added costs of commuting to and from the office. You don’t want to move so far away only to use all that money you have saved in rent to then turn around and spend it on public transportation, a new car payment, and added fuel. 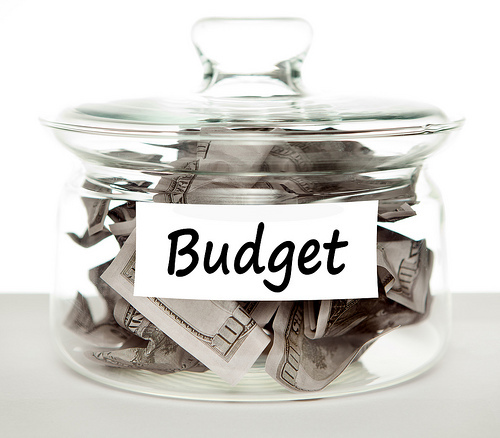 Most people are well aware of how helpful a budget can be when you are trying to save money or at least be more aware of what you spend. The problem is that you need to keep track each and every day of what you spend and what comes in so that you can stay on top of your budget. 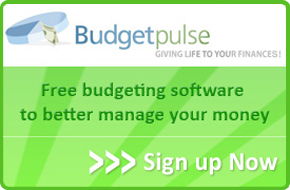 Nowadays you can download all kinds of different budgeting apps, many of which are free. These apps will allow you to set up a budget, then enter in all your expenses and bills as they happen so that you’ve got real-time tracking capabilities. Some offer extra features such as being able to set bill payment reminders, the ability to snap photos of receipts and store them, track expenses for work, create reports and graphs that will help make sense of your spending habits, and more. An app takes all the guesswork out of it for you and makes budgeting and tracking quick and easy. While transportation to and from work isn’t really something you can get around, there are still ways that you can save money in this area. You may want to trade in your vehicle for something cheaper, or get rid of it all together and use public transportation instead. If you live in an area where biking and walk paths are available, then you can also use that as a mode of transportation. This may sound like a strange tip, but once you start to think about it a little harder it’s clear there is money to be saved. Even if you’re not the type that eats out on a daily basis, there’s a good chance you pick up a meal here or there or even that daily coffee or two from the coffee shop. All of this adds up, and the fact is that it’s a lot cheaper to be making food and beverages at home than it is to purchase it at restaurants and diners. Often, one of the best ways to change your eating habits is to start making a weekly meal plan for yourself and family if you don’t live alone. You can then build your grocery list based on the ingredients you will need that week, which ensures nothing goes to waste, and you can look at ways you can re-purpose leftovers for lunches and even dinner the next day. While it may seem like more work at the beginning, the money savings you will enjoy will probably erase any negative feelings you were having. Your clothing budget is another area that offers a place for savings. Why not check out the local outlet and thrift shops and start looking for deals? Sure, you may not have luck each and every time you visit them, but they do have some hidden bargains to be discovered. Consignment shops are another place you can find some incredible deals. A big part of living a budget-friendly lifestyle has to do with changing your mindset. Having a great time in life doesn’t have to cost money. In fact, some of the most special and memorable moments in your life are the ones that didn’t cost a thing. In order to save money on your entertainment expenses, start looking for things you can do that are either free or cost very little. That could mean a weekly movie night with friends at your house, a pot-luck dinner, visiting free exhibits and art shows that may be happening in town, getting acquainted with the local library and borrowing books and movies, taking a walk through the neighborhood, visiting the park with friends, taking up gardening, the list goes on. Often, once you change your mindset and you start to tell yourself that spending money isn’t absolutely necessary, the ideas will just naturally start to flow. Not only will sticking to your budget ensure you aren’t going into debt each month, it also means you won’t have that stress of bills hanging over your head like you did before. This means you can look forward to a much happier life all around.